Born at Limerick, Ireland on 25 May 1858, son of Jessie and Reverend David Wilson, he was educated at Switzers and Weir’s College. He was a member of the Corn Exchange at London, England from 1879 to 1883 then emigrated to Canada and ranched livestock in the Riding Mountain area of Manitoba from 1883 to 1902. In 1891, he married Emily J. Bates (1872-?) of Moncton, New Brunswick. They had no children. 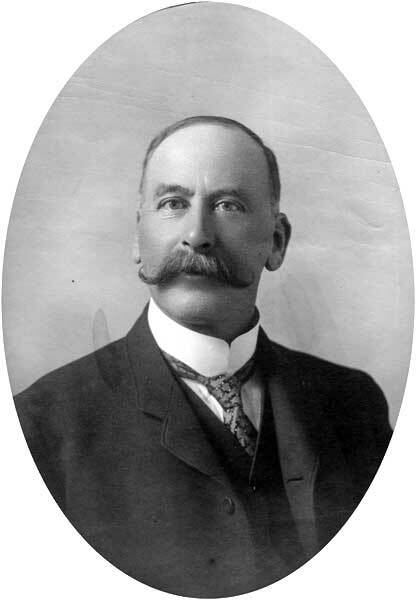 He served as a Councillor and Reeve of the Rural Municipality of Lansdowne and, in 1903, was elected for Gladstone to the Manitoba Legislature, after having been defeated in 1899. He was defeated at the March 1907 general election. He was a member of the Manitoba Club, Carleton Club, Adanac Club, Canadian Club, AF & AM, Augustine Church, and Conservative Party. In 1911, he lived at 123 Lewis Street, Fort Rouge, Winnipeg. Around 1906, he became a partner with the investment firm of Oldfield, Kirby and Gardner at 234 Portage Avenue, Winnipeg. He remained with the firm until retirement in 1922 due to poor health. He then returned to Ireland. During the First World War, he served as Paymaster of the 107th Regiment under Col. Glen Campbell. He died in Ireland on 6 December 1927. “David Wilson, former M.L.A., dies in Ireland,” Manitoba Free Press, 23 December 1927, page 6.